This is the spot where you can make up to 10 song requests for the upcoming wedding. Just enter the date and the password and you’ll be able to view all sorts of wedding song ideas. 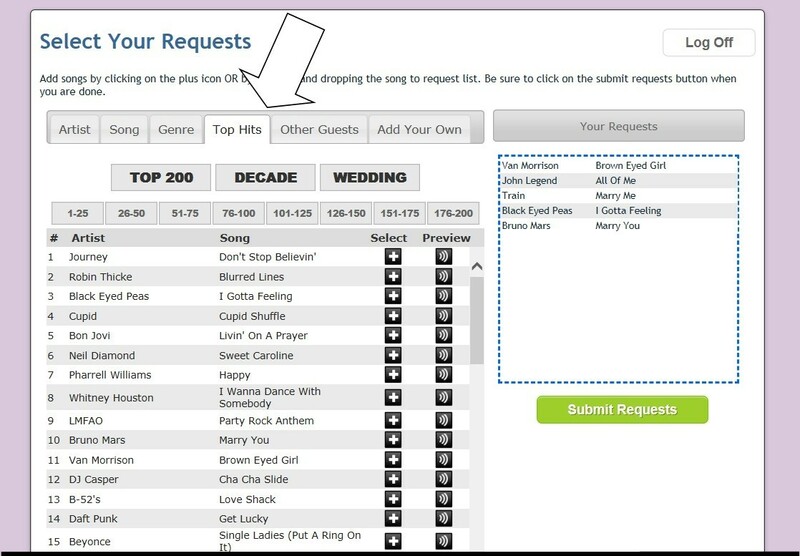 Just drag your favorites to the list on the side and click “submit.” I am excited to seeing what you think are looking forward to seeing what you consider best wedding songs to dance to! Here’s what the guest request form will look like. You’ll find all the top wedding DJ dance songs. Alan is happy to take song requests before the wedding or at the wedding. 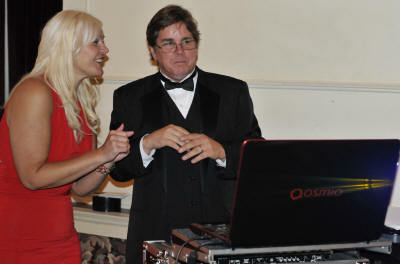 For more music info, please visit what the page where I’ve posted what I hope is the best wedding DJ song dance list. If you have ANY questions at all, please visit my contact page and I’ll try to help you.